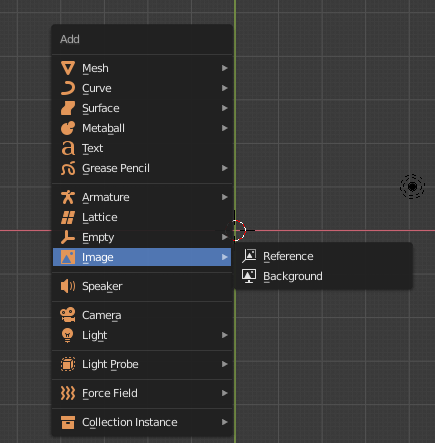 Background images are gone in Blender 2.8, at least in the traditional pre-2.7# sense. The old system was aging and prone to failure as described in the Proposal: Replace background images with Image Empties in 2.8x, and it has been retired due to inherent limitations. Information was stored as User Interface data, as such if you opened a file without the Load UI option ticked they would appear to be missing, and any previously assigned background images mysteriously absent. Saving the file would then silently eliminate them, permanently erasing without warning or explicit user consent. They were also hard to manipulate and had duplicate functionality, having thus been replaced by more modern and robust tools. Either use them as Empties like you could before, if you are using them as reference images to model over. This allows for great control of size, positioning and display options. Use them in the newly added Camera Background feature, if you are aligning a camera to an existing photo, matching perspectives, for later compositing a 3D scene over existing footage. You can now add most background images in Blender from a dedicated entry in the 3D View > Add menu. Three options are available if you manually activate the Import Images as Planes addon from Edit > User Preferences > Addons > Import Images as Planes). Background and Reference Images are basically different presets for the same base type. You can control visibility settings from the properties window, like making it visible only for orthographic views, display always in front and control backface culling. 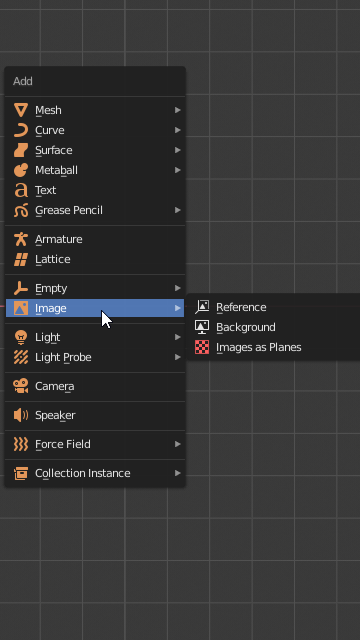 You can also use them from the new Camera Background feature, available in the Properties Window > Object Data > Background Images for any currently selected Camera. If you require a background image (other than an image plane) to visible in your render, either set it up a world shader, use a Spherical HDR as an environment map, images as planes for actual geometry, or render with a transparent background and overlay the result over your image through post production using the Blender compositor or any external image editor. Now select Background and it will open the file browser so you chose your Background Image from from Files. Now switch to the next orthographic view (i.e Front , Back, Right etc) and repeat the process and this time select Image which is appropriate for for selected view. These Background Images are only view-able in Orthographic Mode and could be scaled, moved and rotated according to your taste. Press Shift + A go down to Image. You can also do it on the camera by selecting it and adding a background image, or adding image as plane (must turn it on first) or add node with image. 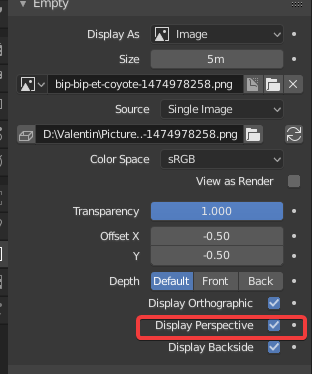 If you go to any orthographic view then press Shift + A > Image and add a Background (not Reference) image to your viewport, that image sticks to that ortho view only, just like the old system. You can make a collection to store all of them. Also remember that it is the Background not the Reference one you are looking for. You can just drag and drop it from the WINDOWS EXPLORER itself right? At least that's how I did it. My only issue is i cannot change the OPACITY of the image unlike in 2.79. Any clues? Not the answer you're looking for? Browse other questions tagged experimental-features or ask your own question. 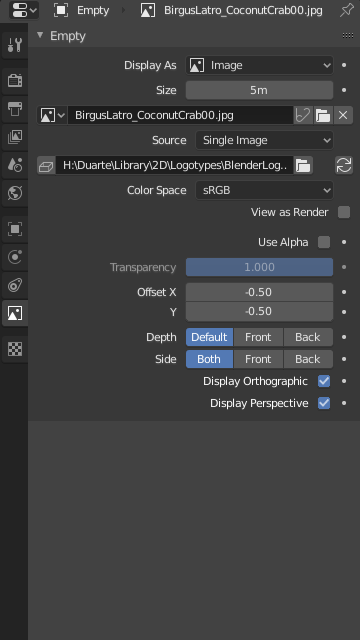 Is there any way to add backgrounds in Blender 2.8? How Do You Use An Image As The World Background? 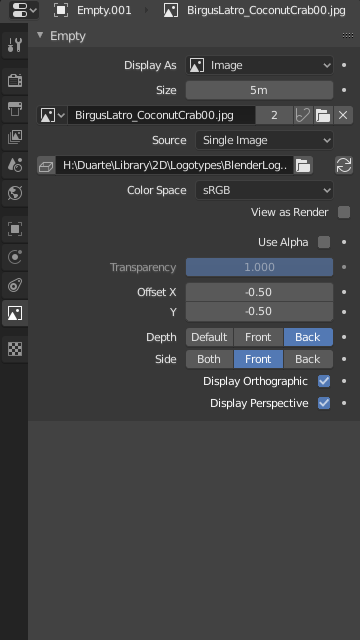 How can I render an object with an hdr background? How to composite in a background picture? What are the denoising passes useful for in 2.79 experimental feature set? 2.8 Where have the 'other' tabs gone? Where can I download previous builds of Blender 2.8?